I just discovered your blog by typing chevrons tsunami into Google. I am surprised I didn't see it sooner. 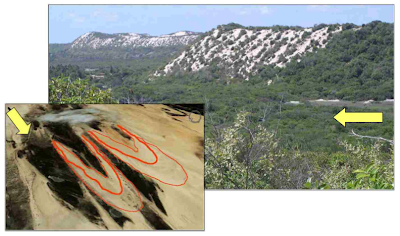 We have a paper coming out in May Geology debunking chevrons using some similar arguments, and others. But bedforms can grow to about 1/2 the water depth, though cross-bedding preservation can be more like 1/6 [are you using Paola's calculations?]. 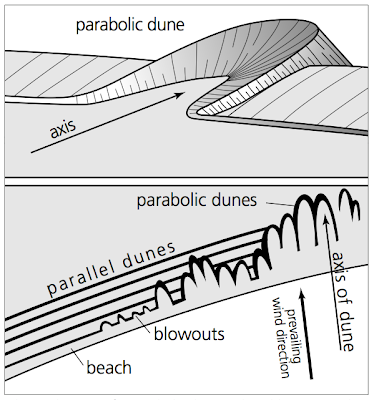 Jody B.
Jody - I think the 1/6 rule about dune height and water depth ultimately comes from a paper by Yalin (1964) - "Geometrical properties of sand waves". However, the data scatter is fairly large around this line, as shown in a diagram in J.R.L. 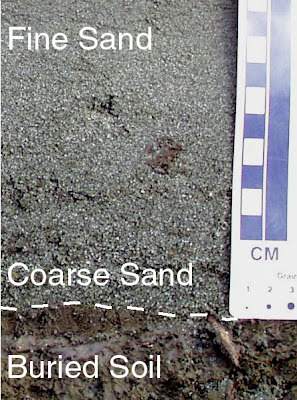 Allen's Sedimentary Structures (p. 333), including some outliers that are indeed close in height to 0.5 x water depth. Still, for the bulk of the data the water depth is at least 3 times as large as the dune height. I am not sure which Paola paper you are referring to - is it Paola & Borgman (1991)? Thanks for the comment -- I am looking forward to reading your paper.